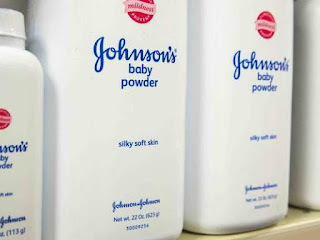 A mass verdict against Johnson & Johnson (J & J) in the context of the legal battle being fought in the United States for cases of ovarian cancer in women who used talcum powder, one of the most iconic products of the health conglomerate. A jury in Saint Louis (Missouri) ordered the multinational to pay 4.96 billion dollars to 22 women and their families, who blame the disease to the asbestos that contaminates the baby product. The company will appeal the ruling. This is the highest fine imposed on the company, which faces about 9,000 of these same cases in several courts due to the presence of asbestos in its talc products. The popular jury decided that the affected ones be compensated with 550 million dollars as compensation for the damages caused. To that amount it added another 4,140 million as a sanction to punish the behavior of the company for not warning users of the product that talcum powder raised the risk of ovarian cancer. It is the largest verdict imposed in this case to date. Six of the plaintiffs died and 17 of them are not from Missouri, a state where courts are usually very receptive to this type of class action. The verdict came after five weeks of expert testimony from both sides. Mark Lanier, a women's lawyer, accused J & J of "covering up for more than 40 years evidence of the existence of asbestos in their products". The legal battle is monumental. Johnson & Johnson faces more than 9,000 lawsuits throughout the United States. In its defense it uses the argument that talc is a safe and asbestos-free product. The agency that oversees food safety (FDA) carried out a study with a sample of the product in which it did not detect the presence of this carcinogenic fiber. "It's all a conspiracy," says Bart Williams, J & J's lawyer. In a previous verdict in Los Angeles, the company was ordered to pay 417 million to a woman. It was the highest so far, but that ruling was successfully appealed by the company. "Science was imposed," adds Williams. Also another in Missouri, where the multinational has ongoing several appeals pending resolution. J & J immediately announced that will also appeal the latter, because the trial was riddled with errors. "Every verdict against J & J that came out of this court that has gone to the appeals process was reversed and the multiple errors presented in this trial were worse than those of the previous proceedings that were successfully appealed," the multinational says, while its lawyer remembers that something similar happened with silicone implants. There is a recent decision of the Supreme Court that also places limits on this type of lawsuit. Talc is a mineral that is very close to asbestos in the mining process. Not all lawsuits are linked ovarian cancer with this carcinogenic substance; in fact, the tactics of the lawyers were changing. But in this last trial, the lawyers argued that they were mixed in the process of mining and then it was impossible to separate. J & J denied this categorically and explained that its purification process guarantees that it is clean. Mark Lanier expressly asked J & J after the verdict to remove the product from the market "before it causes more anguish, damage and deaths from this terrible disease. If the multinational Johnson & Johnson insists on selling the talc, then it should be labeled with a serious warning," he adds. He considers that the tests used by the company do not allow the detection of asbestos fibers. The stocks of Johnson & Johnson, which decided to fight case by case, lost about 2.5% after the verdict was known. Currently there are more than 300 lawsuits pending in California and more than 4,500 in the rest of the United States. The use of asbestos has been banned for decades in a large part of the countries due to its high toxicity and because fiber is potentially carcinogenic. The studies carried out to date on the link between talcum powder and cancer are inconclusive. The American Cancer Society points out in this regard that some detected a small risk that can raise the risks of contracting the disease, but there are many others who could not prove it. J & J argues for this reason that it has no need to warn consumers. "We're not going to be intimidated," Williams concludes.